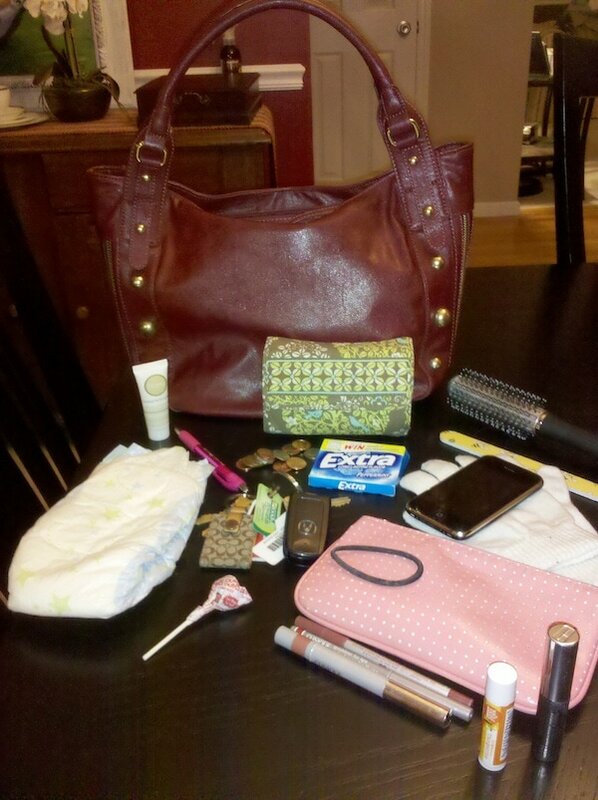 Here’s another peek inside one of my blogging buddies’ bags. I give you Erin from ‘Tales of a Marketing Mama‘. To see the other bloggers who have participated in this series, click here. I love this series- you REALLY learn a lot about a woman from what’s in her purse:) Love that Erin’s got a diaper and a DUM DUM in there! I love Whole Foods lip balm! It’s the best.